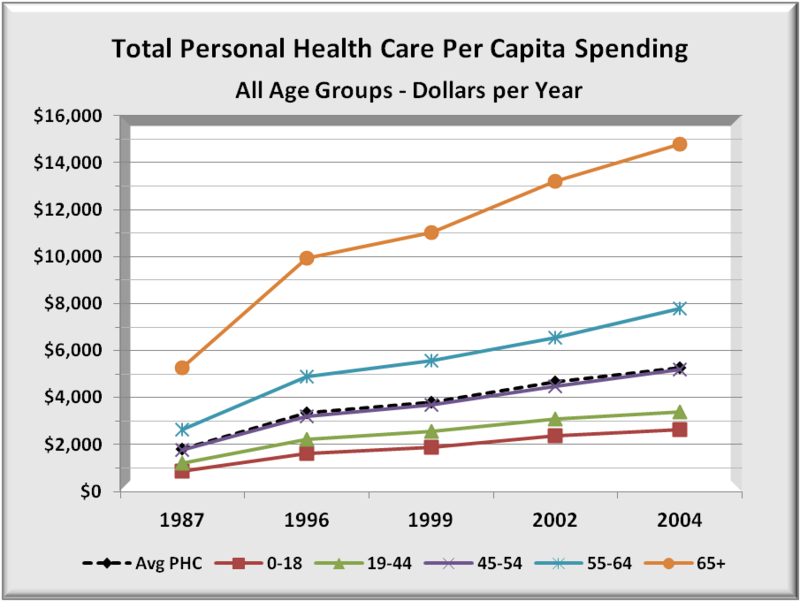 Medicare does not rely on hospital billings but on data built over decades as to the reasonable cost of services. 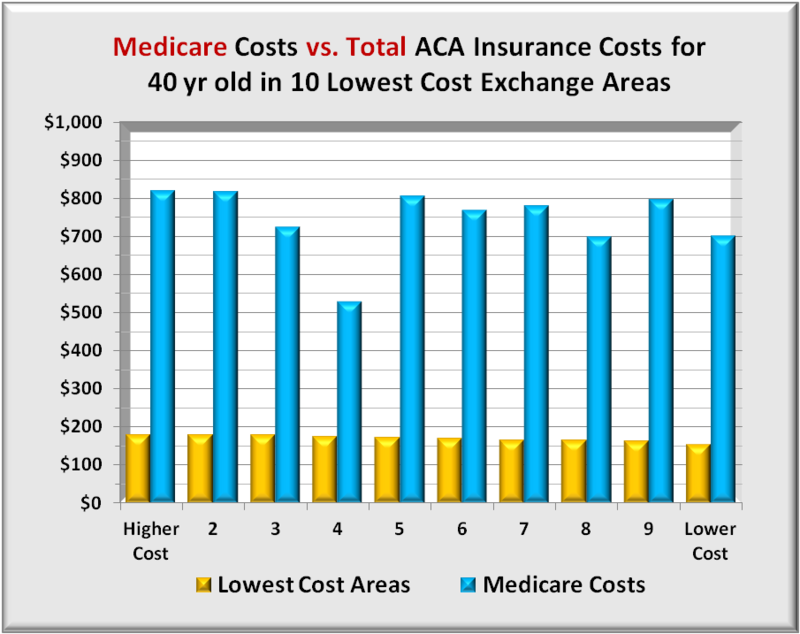 Some may question the absolute amount of Medicare reimbursements but the relative payment scales are extensively validated by actual data. 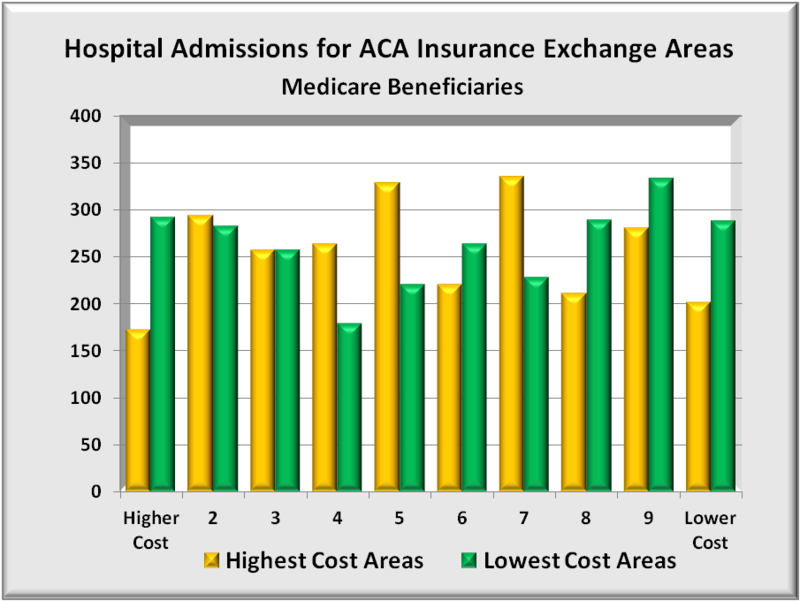 Conversely, this analysis shows hospital pricing has inconsistencies that cannot be rationally explained. However, private insurers negotiate discounts from these hospital pricings. If billed prices are inconsistent, then so are discounts based on them. A major constraint on medical costs will occur when patients can make informed cost decisions at the DRG level, not just for overall premiums and co-pays. Currently, few persons can make those informed decisions. Many states have enacted legislation for hospitals to be more transparent about their prices, but enforcement is spotty. 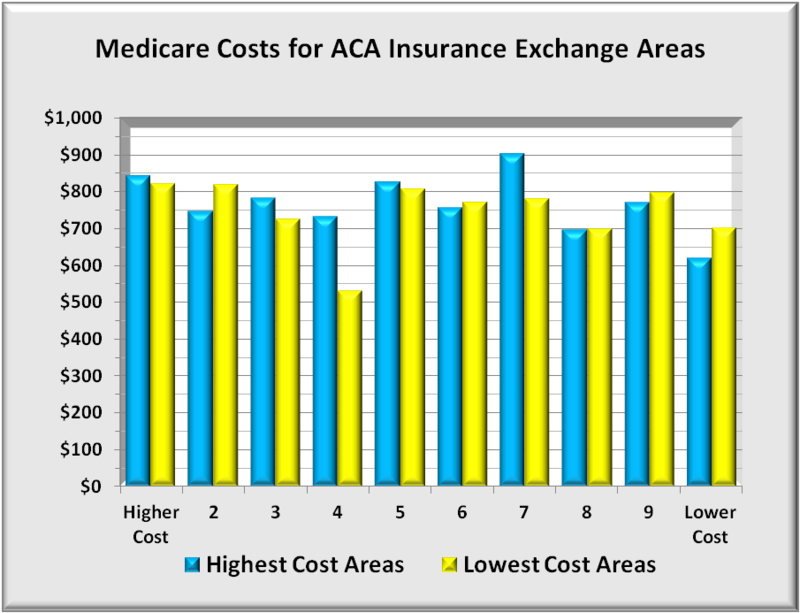 This Medicare data suggests that the country would be well served if hospitals posted DRG prices for all to compare. 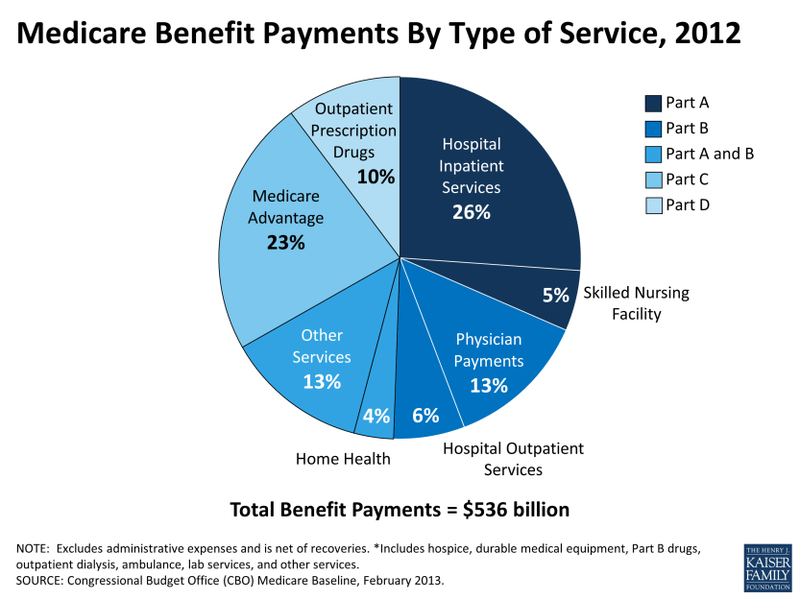 In May, 2013 Medicare released its most comprehensive set ever of statistical data regarding hospital payments. The data covered fiscal year 2011 and included the top 100 DRG’s (diagnostic related codes) based on inpatient discharges. Data excludes DRG’s for hospitals with fewer than 11 discharges for that DRG. This allows focus on higher volume services and their financial impact. The final data set of the top 100 DRG’s results in over 166,000 records of nearly 7 million discharges from over 3,300 hospitals. The data itself lists for DRG’s for each hospital, the number of discharges, the average covered (billed) charges, and the average total payment including Medicare. Each hospital, also includes its HRR (hospital referral region) which is the method governments use to determine “market areas”. The chart below from Kaiser Foundation indicates that inpatient hospital is just over a quarter of Medicare spend or about $140 billion annually. This analysis examines inpatient service pricing. Step one was to reduce the extreme data, both high and low. To minimize billing overstatement, this analysis removed 51 discharges that were high cost outliers. To minimize billing understatement, the smallest states totaling 10 % of the population and which tend to be more rural and variable were skipped. The sample data covers 6.3 million discharges from over 145,000 records of 100 DRG bills and costs. Total inpatient payments are $61 billion or 40% of total spend. The data itself was analyzed five different ways. The graph below shows 5 sets of bars representing four quartiles 0% to 100% plus a small number of DRG’s that paid more than was billed. 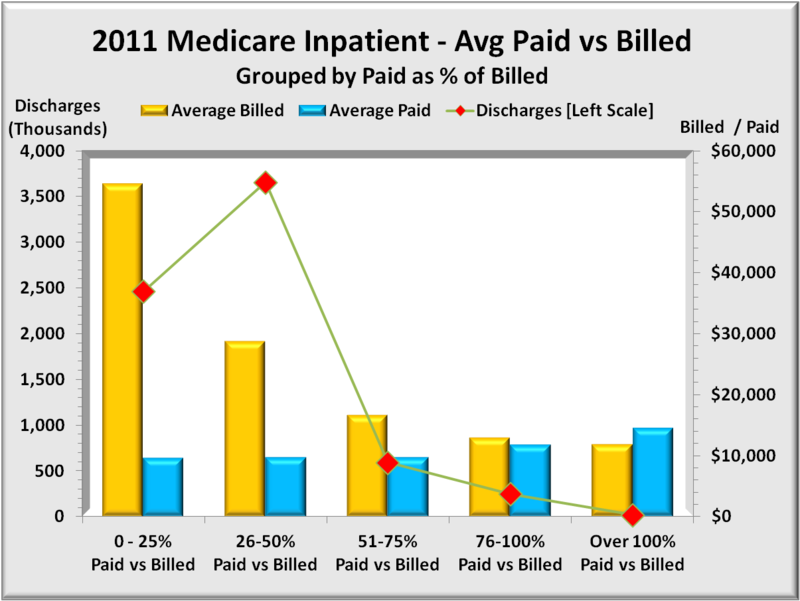 The left (gold) bar is the average bill for the four quintiles while the right (blue) bar is the corresponding average paid for each group. 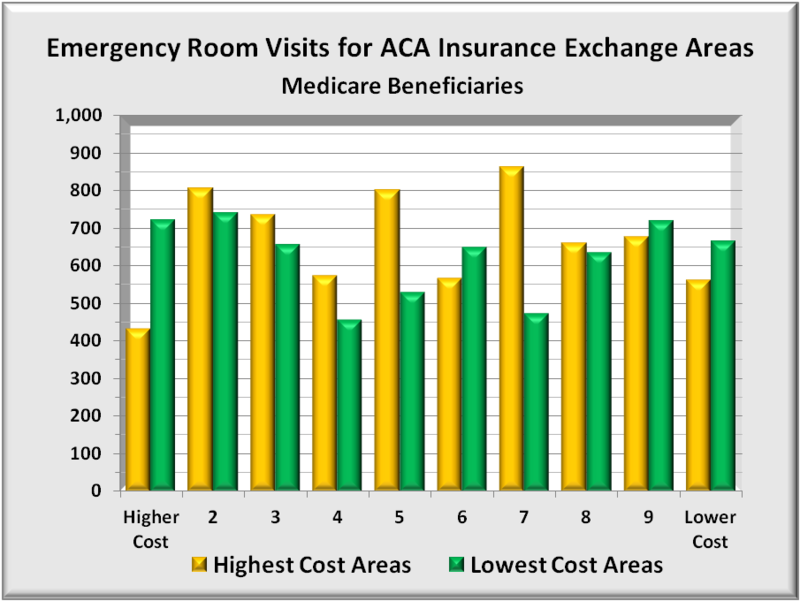 The right axis shows average dollars per discharge. Total average billed dollars is $36,384 and ranges from $54,000 highest to $11,867 lowest. Total average paid dollars is $9,754 and ranges from $14,481 highest to $9,548 lowest. Note the inverse relationship of billed versus paid. One might expect higher billings to result in a lower percentage paid. What was not expected is that the actual dollars paid goes up as the overbilling goes down closer to paid dollars. Clearly billings for lower cost DRG’s bear little resemblance to cost. The graph below uses the same payment data above but groups results by state. And rather than two separate bars for billed and paid, there is one bar representing the percent of bill paid. (i.e. paid/billed) equivalent to the blue bar above. 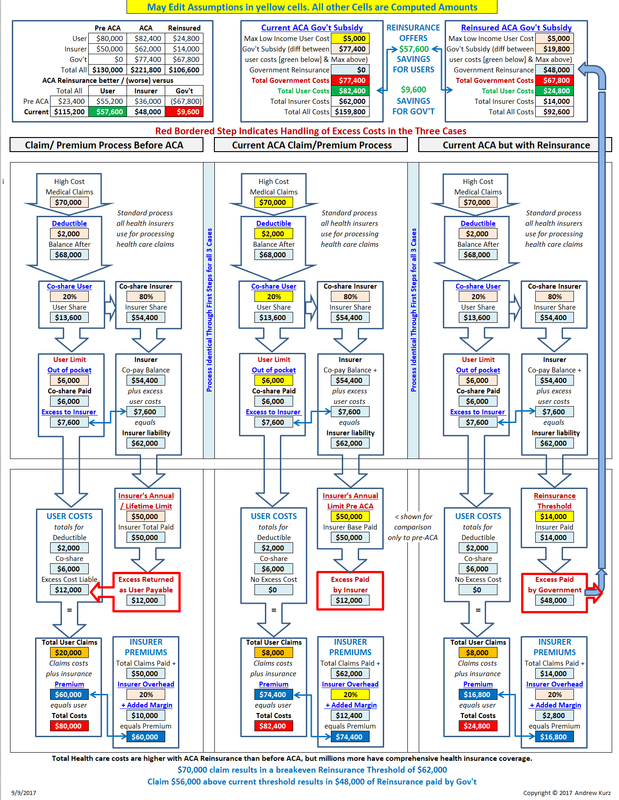 This graph does highlight the extent of overbilling by state. It does not show either the billed amounts or the paid amounts. The graph begins with the states with the highest overbilling (and hence lower paid percent) and extends to more realistic levels of overpricing. Maryland at the bottom has billed prices very close to paid, with only a 6% discount to bill. 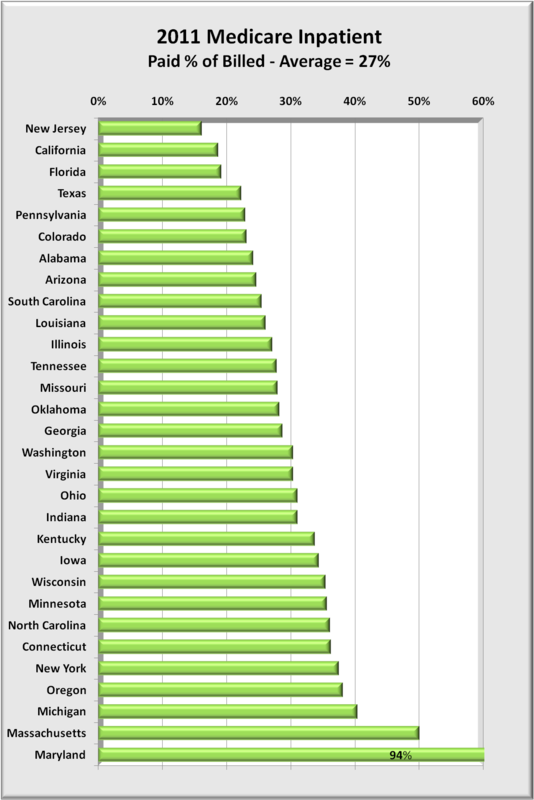 In the above graph, Illinois payments of 27% billed is the average for these 30 states. States listed above Illinois have more severe overpricing issues than states following Illinois. “Discounts” from billed rates can have serious side effects. Just to call them discounts is something of a misnomer. For many, there seems little connection between what it costs and what is billed. 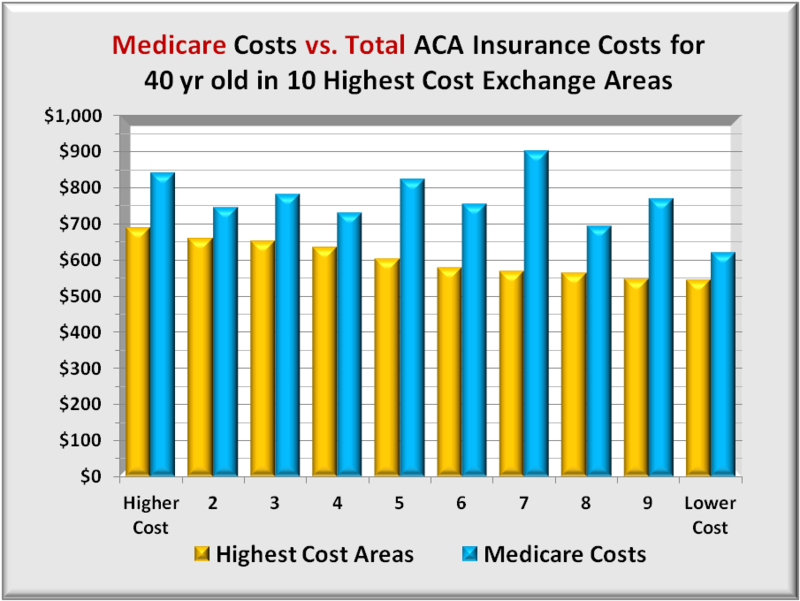 Medicare of course ignores billed prices and pays what the procedures cost plus a margin. But private insurers do not have the extensive national database that Medicare has. Instead they negotiate “discounts” from billed or list price. 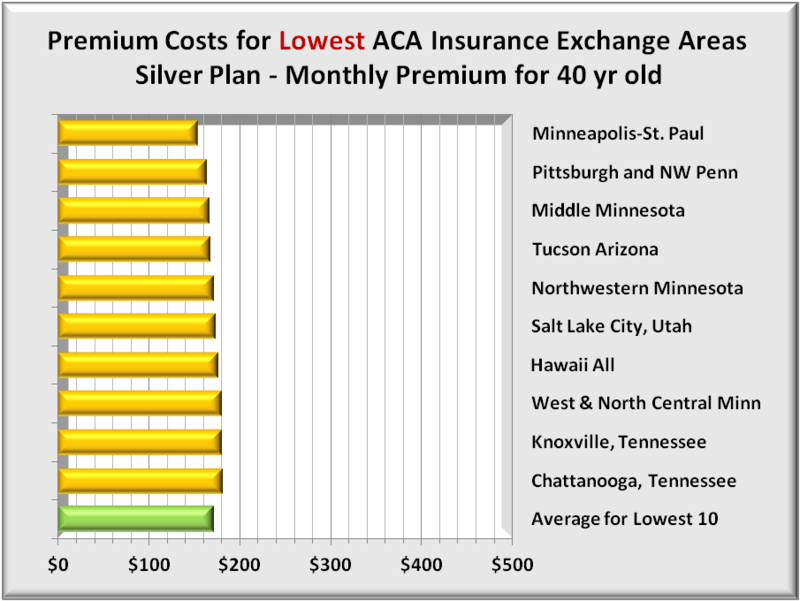 But as this graph shows, and as one drills down deeper by hospital, these list prices are all over the map, and that alone can skew private insurance payment amounts. But two other adverse factors also come into play. 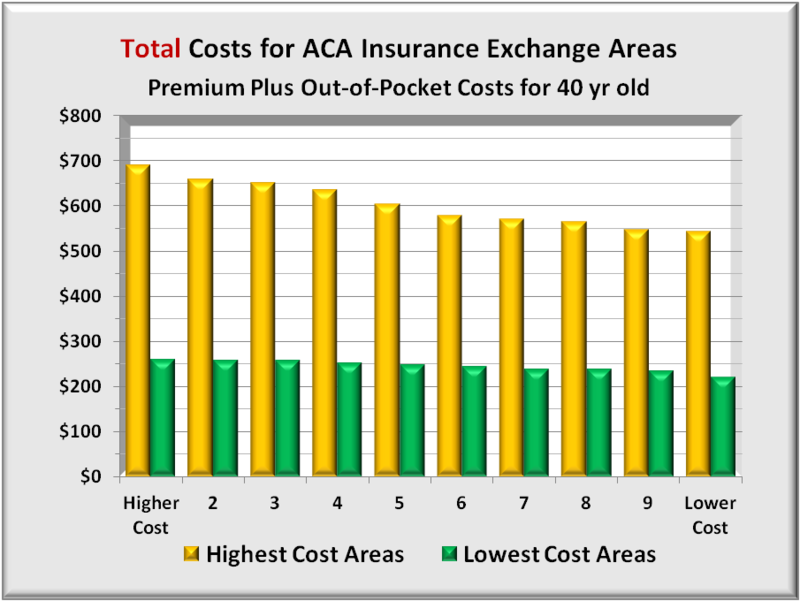 The most important is that billed rates are what uninsured people are charged when they require treatment. Most of the uninsured cannot afford the insurance, and should they be hospitalized, things get far worse. Over 60% of personal bankruptcies have medical bills as a significant factor. Another adverse factor is that hospitals report the amount of uncompensated care that they provide, and are provided tax exempt status if that care exceeds a specific target, and/or get reimbursed for some of these expenses. The computations are far from transparent, and it is quite possible that taxes are avoided or reimbursements received that overstate actual uncompensated care were it calculated as Medicare does. The graph below offers a more close-up view of overbilling. 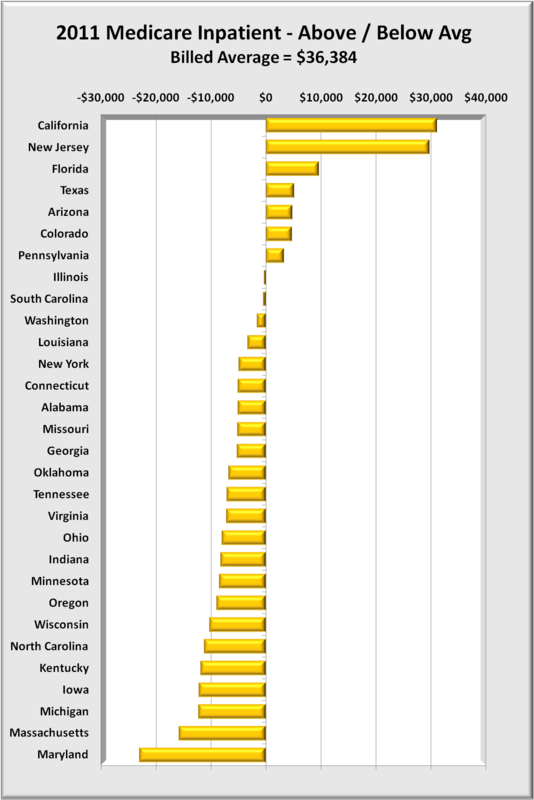 It shows how each state’s average dollar amounts differ from the 30 state billing average of $36,384. Data is sorted from the most overbilling at the top to the least at the bottom. 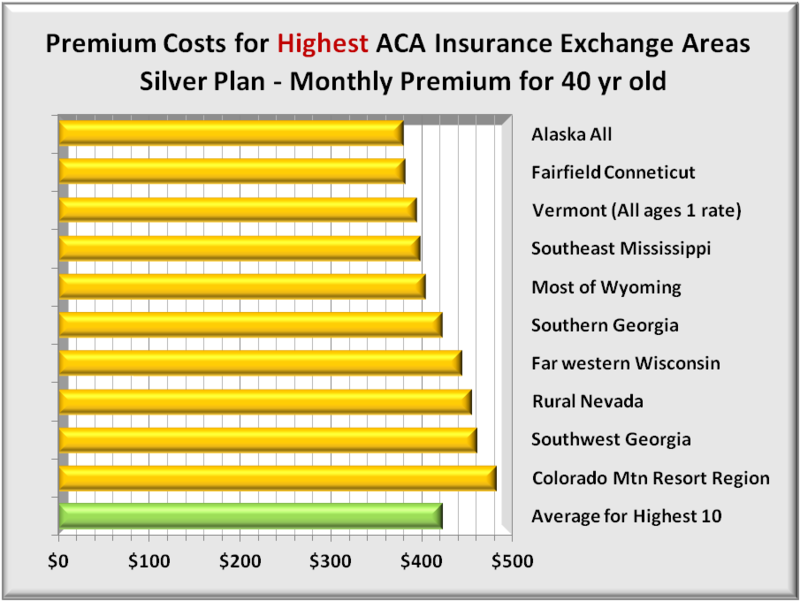 Note that Massachusetts, which state closely resembles the Affordable Care Act, has less overpricing (though still 50%) than all other states except Maryland. The graph below is the same format as the prior except using paid instead of amounts. Its scale is also much lower. In the former graph, Maryland had the least overbilling. 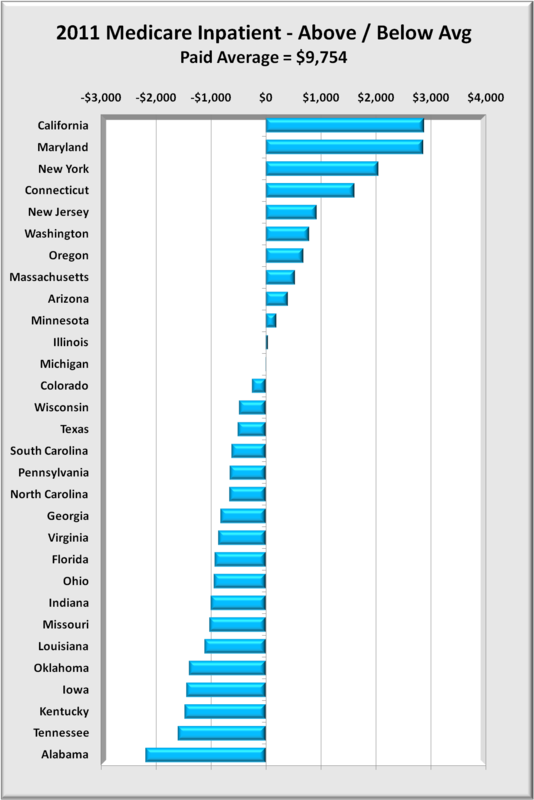 But as shown below, Maryland has the second most expensive payments following only slightly behind California. This graph, more than any other highlights the cost-of-living differences between different parts of the country. Larger urban states tend to have higher costs than smaller less urban states. 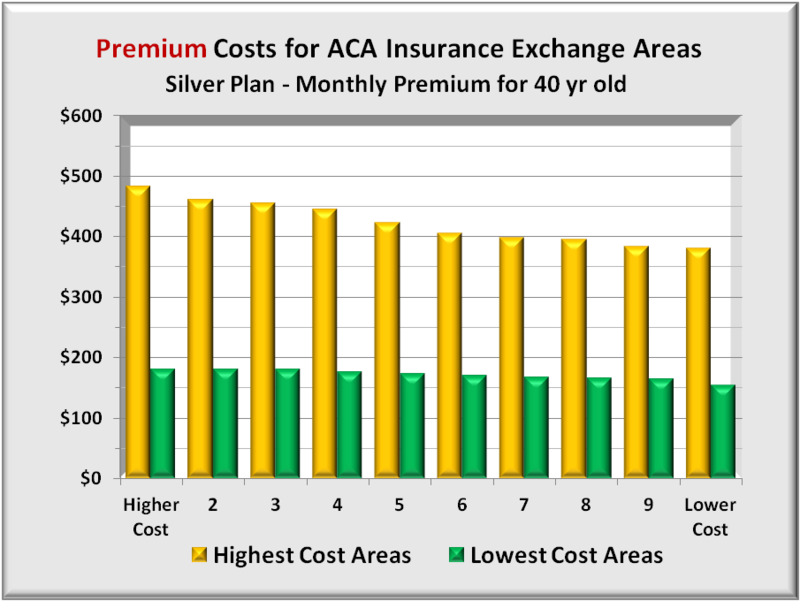 Nevertheless, the $5,000 difference between the extremes reflects costs nearly double from the lowest cost states to the highest. 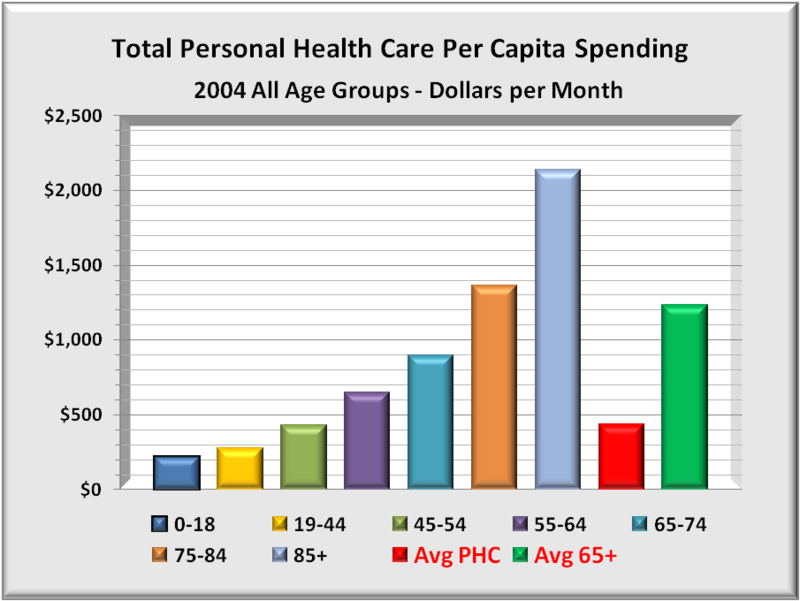 The financial effect (+30%/-40) seems larger than justified by differences in cost-of-living alone. The most obvious difference would be intensity where higher cost states are able to justify more services. Another factor could be the use of more expensive equipment and methods. The graph below represents two different data, each with its own range of values. The grouping is a selection of 15 of the most frequent DRGs. The wider (green) bars have their value scale shown along the top. The wide bar represents the ratio of the maximum billing divided by the minimum billing – in other words, the ratio of maximum to minimum, the extremes of over-pricing. For instance, the second DRG, “Cellulitis” has its highest billing more than 70 TIMES that of the lowest bill. 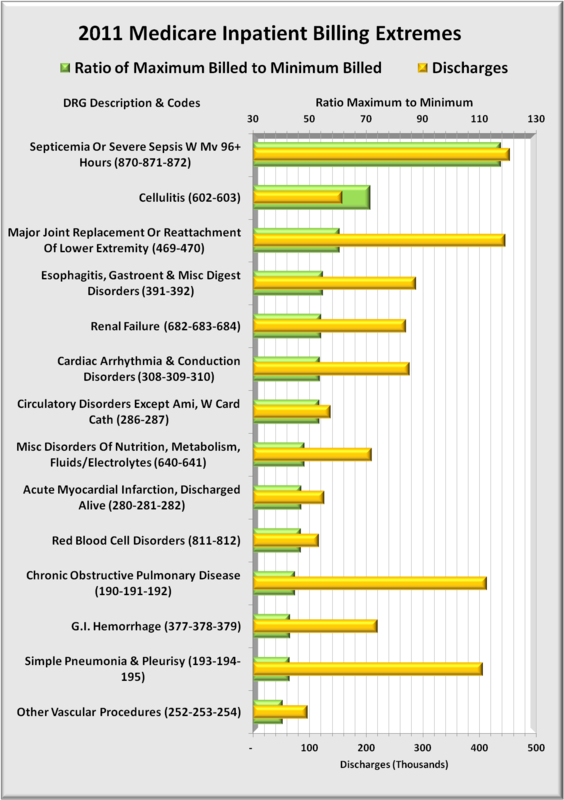 Bad as that is, the extreme for septicemia is over 100 times the lowest billing. These are extreme differences for closely related illnesses. Sure there are differences in how serious the illness is, but high-low factors greater than 50, not even considering ratios greater than 100 are hard to explain. Then there are the narrow (gold) bars. They represent the number of discharges in each DRG group and whose values are shown below the graph. There are over 3.6 million discharges in the data. One may reasonably conclude that hospital pricing bears little relationship to costs of service. While deep discounts mitigate some of this, discounting just reduces the magnitude but not the irrational pricing itself. There is a close relationship between the current concerns over government debt and prior years’ controversies over the Affordable Care Act (ACA) or health reform. 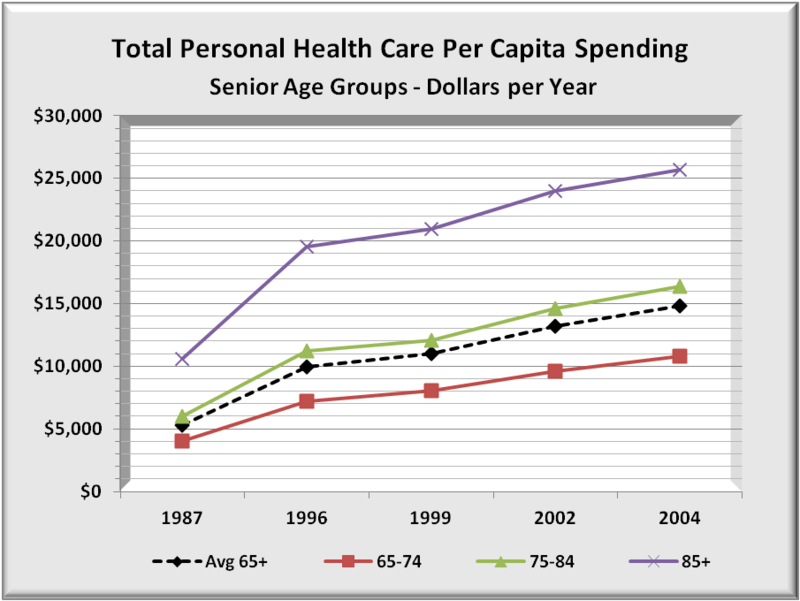 The link between them is that Medicare costs will rise significantly above current levels. That will put pressure on entitlement spending that will be nearly impossible to offset with other spending cuts. Medicare itself will need significant reform.